In our day and age, raising a child to be bilingual is seen as a positive step, as it will help him communicate with more people and be more desirable in the job market. But increasingly, research is showing that bilingual kids are cognitively more advanced than their monolingual peers. In plain English? Bilingual kids are smarter! My husband is Italian, and we are raising our daughter—who is now a toddler—to speak both English and Italian. His family, and our Italian friends and neighbors already marvel at the fact that Naomi responds to me when I speak to her in English—which I do exclusively—or to Paolo and others when they speak to her in Italian. “Un grande vantaggio per lei,” they say. A great advantage for her. And they’re right. Teaching her to be bilingual from the get-go will not just make it easier for Naomi to communicate with both sides of her family. It will give her advantages in school, career and social settings, and make it easier for her to pick up other languages, should she wish to do so. 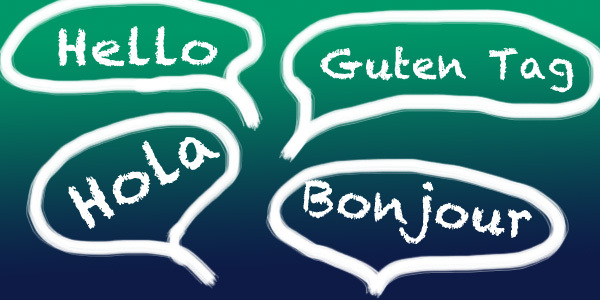 But studies are showing that bilingualism doesn’t just open more paths of communication. Bilingual kids are quicker problem solvers, and can solve complicated tasks quicker than monolingual children. The non-technical explanation is that learning two languages at the same time makes their brains work harder, and that renders them more intelligent. This entry was posted in Culture, Hispanic Heritage Month, Raising Tweens and tagged bilingual, bilingual tween, language, Parenting, Parenting Tips, raising bilingual children, Tween. Bookmark the permalink. it and i also have you bookmarked to check out new stuff in your site.